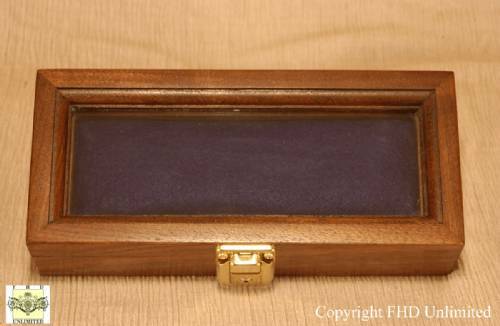 Display Case - Shadow Box 4" x 9"
This high quality, solid wood, custom made display case is ideal for showing off those expensive keepsakes. 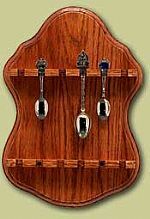 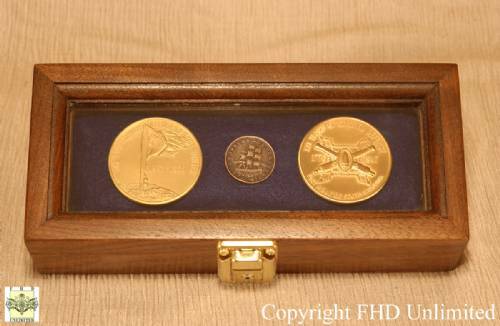 Perfect for pocket watches, coins, medals, knives, hand guns or any other items you can think of. 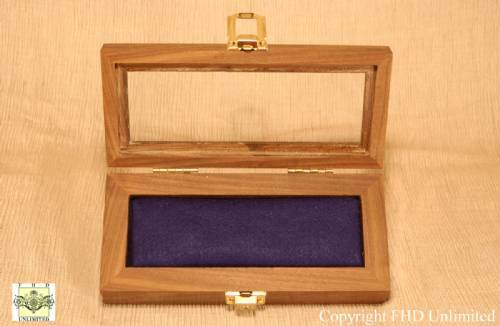 Shadow boxes come in two wood choices (oak, walnut). 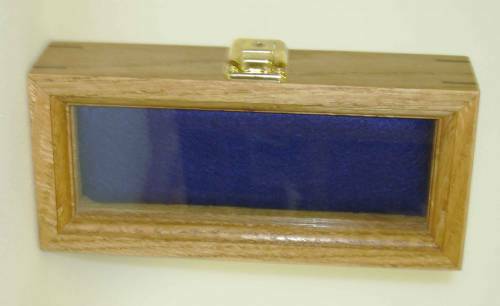 Case features a foam insert and comes with your choice of felt backing colors (blue, black, green, burgundy, or red). 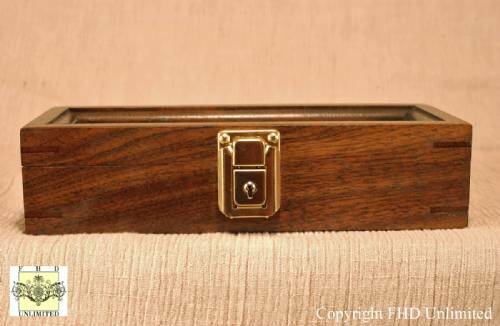 Features brass plated hinges and a locking latch.Comes in two depths (2 1/4" or 3 1/4"). 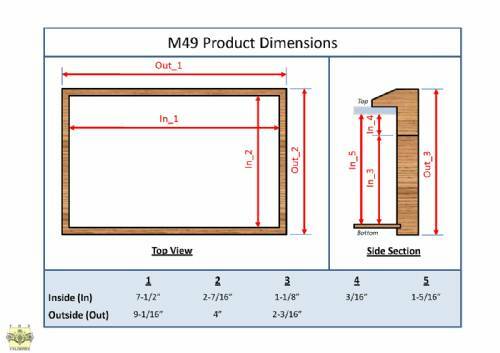 Dimensions reflect outside measurements. 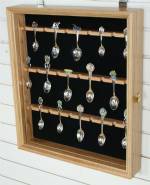 Interior dimensions are 2 1/2" wide X 7 1/2" long x 1 1/4" OR 2 1/4" deep. 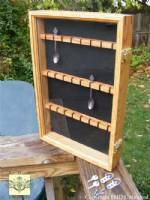 These display cases are very nice quality and sure to please. 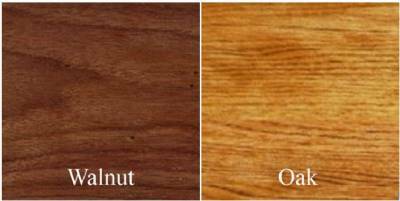 Select wood, background and depth choices below.